World Down Syndrome Day(WDSD) is on March 21. On this day, people with Down syndrome and those who live and work with them throughout the world organize and participate in activities and events to raise public awareness and create a single global voice for advocating for the rights, inclusion and well being of people with Down syndrome.What an incredible day! How did you celebrate World Down Syndrome Day? 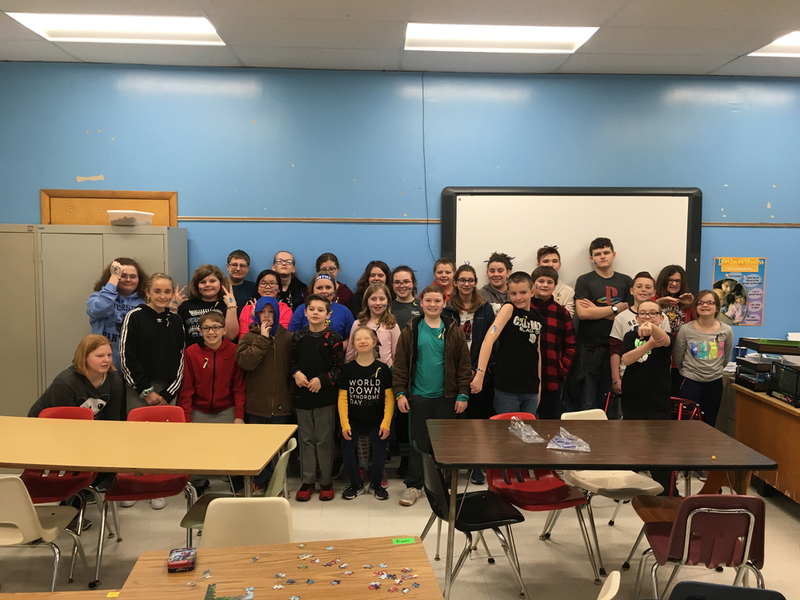 At JCMS we all watched a video about Down Syndrome and one group of students were lucky enough to get to spend their morning with Andrea Hill. Andrea came to talk about her daughter, Alli, a Jersey Panther 6th grader here at JCMS , and made a presentation, painted faces, brought crafts and even snacks , educating and celebrating her daughter and all those with Down Syndrome here at our school and around the world! The more we know about each other, the more we understand each other —the more we will include each other! Here are some links so that YOU can learn more about Down Syndrome also!